Transforming less-than-perfect teeth into a stunning, superstar smile is a source of immense gratification for the cosmetic dentist and the patient. Cosmetic and restorative dentistry restores and improves the health and integrity of the patient’s teeth and, just as importantly, can improve the patient’s self-image. Today, to be truly cosmetic, dentists must be clinicians, artists, and communicators. To achieve success in all of these areas, the dentist must pay close attention to every detail, from initial patient consultation through treatment planning, treatment, and follow-up care. Consider a smile makeover to change the entire appearance of your smile. A smile upgrade is a way to change some aspects of the smile to improve the appearance. In the past, failures of cosmetic cases were frequently due to inadequately meeting the patient’s expectations. 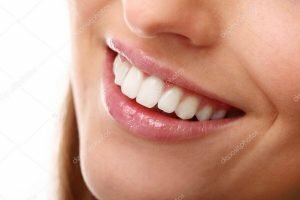 By utilizing new technology such as smile selection guides, cosmetic imaging, and temporization techniques — thus creating a “trial smile” or prototype smile, can reduce this problem and greatly increase patient satisfaction. In both the esthetic and restorative aspects of dentistry. The dentist is responsible for the patient’s functional and appearance-related needs. However, successful treatment planning first involves listening to the patient’s desires and concerns as you evaluate his or her needs, be it color, shape, or tooth position. To move toward building a successful case, you must identify the patient’s expectations during your diagnosis and treatment planning. A pleasing, attractive smile can be attributed to the harmony of color, contour, size, bite, incisal edges, and teeth midline with the patient’s facial features. Often, this harmony can be achieved by treating just the four incisors, the key players in the smile zone. By enhancing their length, width, shape, and alignment, many times you can create a dazzling smile from imperfect teeth. The key to treatment success is creating the smile that the patient wants. I have found that showing patients photographs of other patients smiles and the before and after result, tremendously helps patients understand and visualize what can be accomplished with cosmetic dentistry. This generates enthusiasm and excitement in obtaining a new smile, which increases case acceptance, and facilitates the communication necessary to build a successful case right from the start. We would love to talk to you about a smile makeover or smile upgrade. Call Dr. Chanin at 908-838-0004 to discuss you concerns and hear how he can give you the superstar smile that you have always wanted.